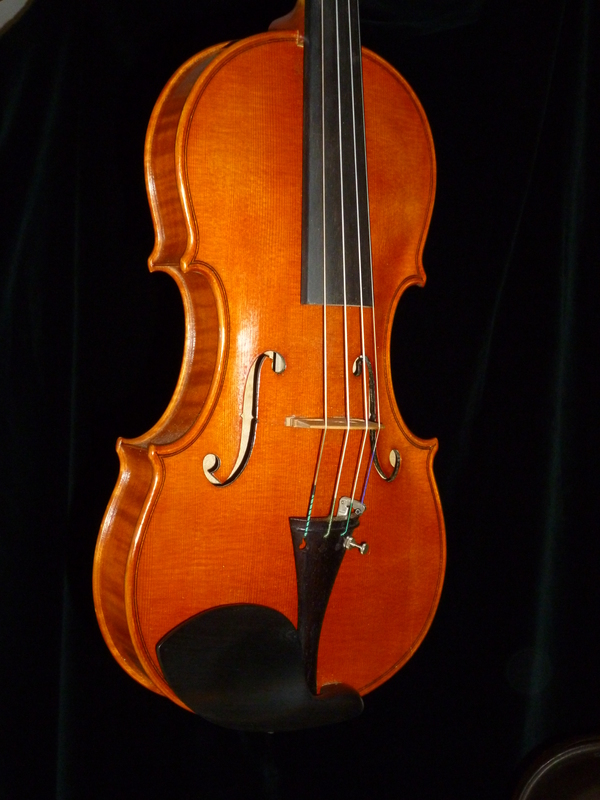 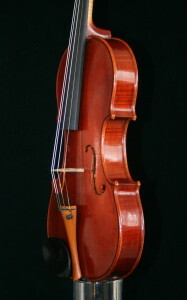 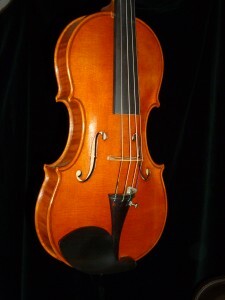 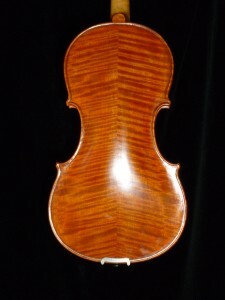 I’ve based violin models I’ve developed on instruments by Guarneri del Gesu, Stradivari, Montagnana, and Nicola Amati. 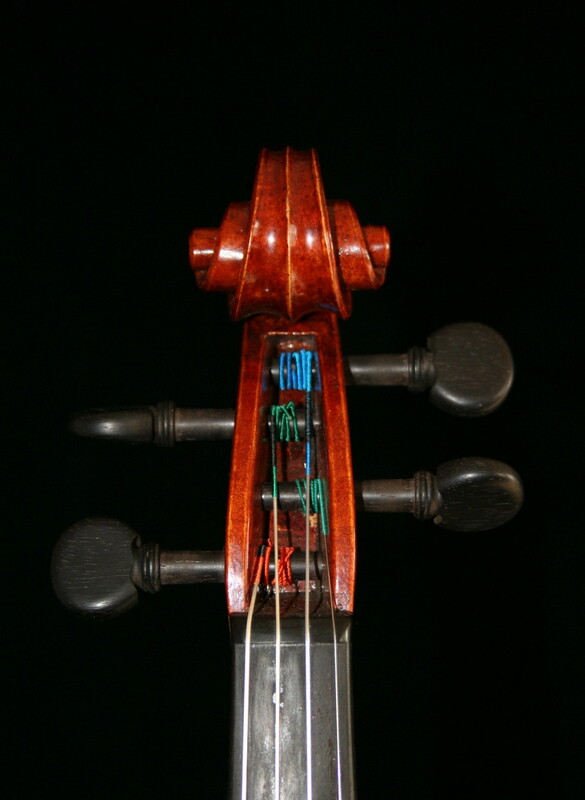 The design of this violin blends influences of violins by Guarneri del Gesu and Stradivari. The reddish chocolate oil varnish, although dark, is extremely thin, contributing to the very quick and even response of this instrument.